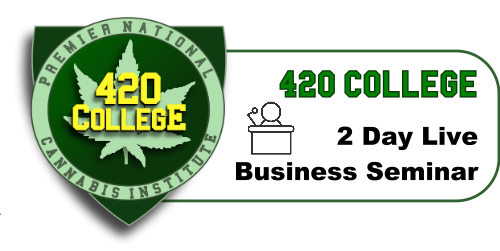 420 College 2 Day Marijuana Business Seminars are for YOU!!! What Can You Learn in Just 2 Days? After Class – You Will Be Ready to Start Your Own Marijuana Collective With a Dispensary or Delivery Functions AND You Could OPEN Your Marijuana Business – THE VERY NEXT DAY!